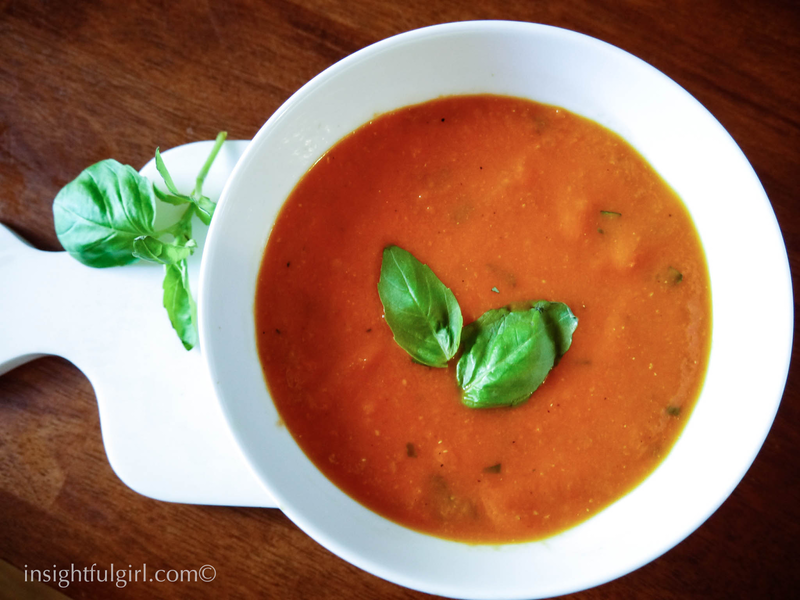 On this wonderful snowy day in Colorado, what better way to keep you warm than a delicious soup. Nothing warms your insides like a spicy curry. I fell in love with this soup when I realized how healthy and low fat you could actually make a coconut based curry. By using a light coconut milk and cauliflower for the base you add all the flavor minus the huge dose of fat and calories. I would say this is a huge score on the healthy scale. Eat to your hearts content and still wear your skinny jeans. Also, I used Doterra lemongrass oil in this recipe, because it makes the flavor outstanding. Besides, whenever I have bought lemongrass in the store, it always looks like its been sitting there for a month. Anyone else feel this way? By having the lemongrass oil on hand, I have immediate access to the most amazing flavors. It lasts forever, maintains it potency and is cost effective. However, if you have not yet gotten on the brilliant essential oil bandwagon you could always substitute 1 tablespoon fresh chopped lemongrass. So go ahead and enjoy, even get a second bowl without feeling guilty. 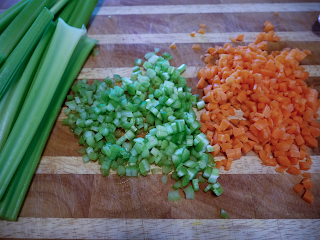 1 cup chopped leeks, white and light green parts only, washed well. 1. In a large soup pot heat olive oil over medium heat. Add leeks, cilantro stems, cauliflower, rice and salt; stir to coat. Saute for about 5 minutes, stirring occasionally. 2. Place green curry paste, lemongrass essential oil and ginger in a medium sized mixing bowl. Next add the coconut milk and vegetable broth, then using a whisk stir until combined. Pour this mixture over the sauteed vegetables, increase heat to high and bring to a boil. 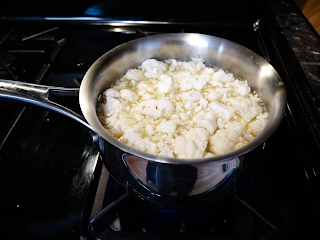 Lower the heat to simmer, cover with lid and cook until the cauliflower is tender. About 20-25 minutes. 3. 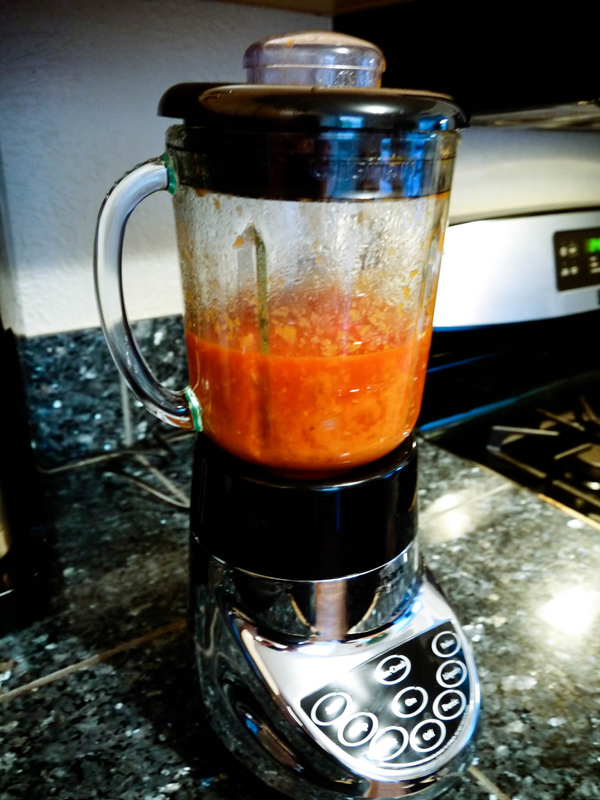 Allow the soup to cool slightly then scoop a few cups of the soup into a blender and process until smooth then return to the pot. Place pot back on stove and reheat slightly. Add the lime juice and season to taste with salt. 4. Serve in bowls and top with cilantro and red pepper flakes. This entry was posted in essential oils, Healthy, Main Dish, Recipes, Soup, Vegetarian on March 1, 2014 by Genoa11. I hope everyone had a happy and safe New Year. I found myself surrounded by wonderful friends, eating delicious food and drinking amazing wine. I watched the fireworks show downtown and it felt perfect. However, with the new year comes all those new years resolutions. I have never been a big believer in waiting for the perfect date to make a healthy change. However, I do know that there are a lot of you out there. The reason I know this is because every January 2nd, the gym looks like it the most happening place on earth. Not that having healthy goals to bring in the new year is bad, it’s just that come February 15th, the day after everyone has overindulged for their Valentines day dinner, the gym seems to become a ghost town. This is the way it remains until the next January when the cycle begins again. Well, cheers to all those venturing into the gym for the first time this year. I will see you until February and then we will meet again in 2015. So hear is a healthy recipe for all those new years resolutions for weight loss and getting healthy. A good source of protein, healthy fats and delicious taste. Go ahead enjoy. You won’t need to feel guilty about this one. Happy 2014!!! In a medium bowl mix together the quinoa, edamame and olive oil. Salt and pepper to taste. Set aside. Spray a small frying pain with nonstick cooking spray. Cook egg until whites are set, but yolk is still a bit runny. The yoke will make a nice sauce for the quinoa. Place quinoa mixture in bowl, sprinkle Parmesan over quinoa and top with hot fried egg. Serve with sliced avocado. Season with salt and pepper to taste. This entry was posted in Healthy, Main Dish, Recipes, Side Dish, Vegetarian on January 5, 2014 by Genoa11. I was craving something vegetarian when I came across this delicious sounding recipe. However, when I do choose to make anything vegetarian it has to be packed with flavor, so my husband forgets that the meat may be missing. It is all about the art of distraction. Flavor punch = Meat amnesia. Also, with this recipe feel free to change up the type of cheese used. I think next time I will try using feta. I think its creaminess would put this dish over the top. Go ahead, challenge the meat-eaters with this dish and see if you can win them over. Plus you get to learn to chiffonade. I embedded a link on the word within this recipe in case your not sure on this cutting technique. 1. Preheat oven to 375°. Lightly spray a shallow baking dish with non-stick cooking spray and set aside. 2. In large skillet heat olive oil over medium heat. Saute onion for 4 minutes, add garlic and saute for 3 more minutes or until onions are translucent. 3. Add drained tomatoes and crush any remaining large chunks with the back of a fork. Add white beans and cook for 5 minutes. Next fold in spinach and cook for 1-2 minutes or until spinach begins to wilt. 4. 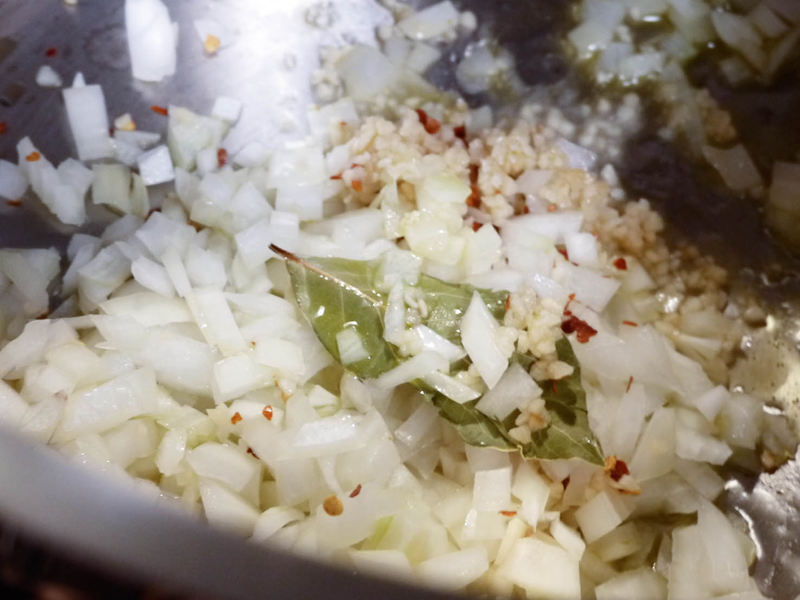 In a large sized mixing bowl, combine precooked couscous, reserved tomato juice, minced basil, pine nuts, salt and pepper. Mix thoroughly. Fold bean/tomato mixture into the couscous mixture until well combined. 5. Spread half of the mixture into the bottom of the baking dish. Sprinkle half of the Parmesan cheese over mixture. Top with the remaining couscous mixture and then sprinkle with remaining cheese. Cover dish with foil and bake in preheated oven for 15 minutes. Remove foil and bake for 2-3 more minutes. 6. Dish into bowls, garnish with chiffonade basil and serve warm. 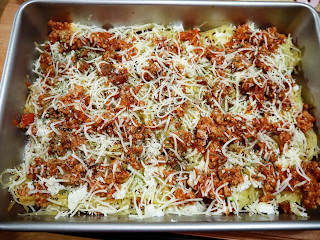 This entry was posted in Healthy, Italian, Main Dish, Recipes, Vegetarian on December 6, 2013 by Genoa11. This recipe is the product of asking my husband what he wanted for dinner and he simply said, “enchiladas.” It isn’t my fault he didn’t specify what type he preferred. So in my endless attempts at eating less meat, I decided to make vegetarian enchiladas. 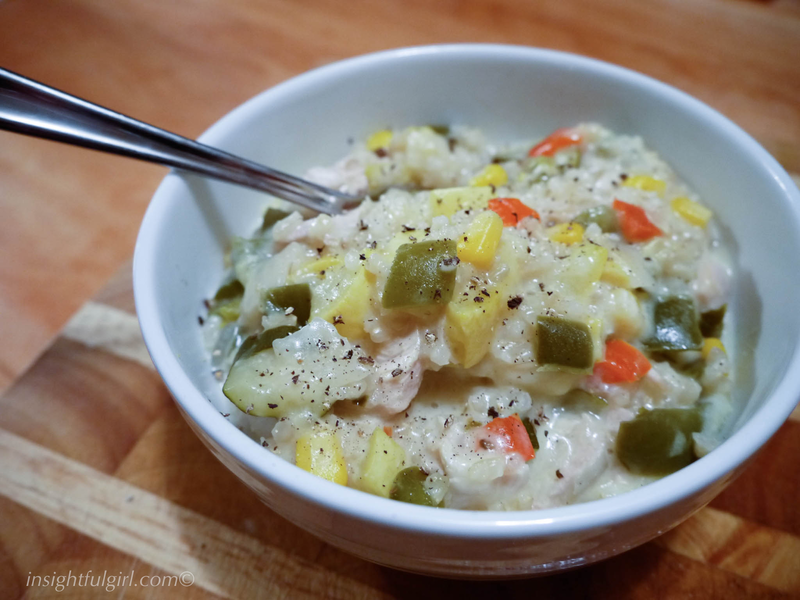 I came across this one containing one of my favorite veggies, zucchini, and decided to give it a whirl. I did add extra enchilada sauce to the dish once it was done baking; otherwise it was a bit dry for my taste. 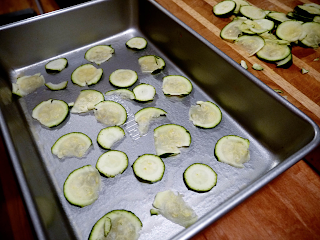 I also drained the zucchini after cooking it, to avoid having soggy tortillas. With these simple tweeks it was yummy. My husband topped his with a few slices of avocado to add a bit more protein. Hope you enjoy. 1. Spray baking dish with nonstick cooking spray, set aside. Preheat oven to 400 °. 2. In a large nonstick skillet, heat olive oil over medium heat. Saute garlic and onions for about 3 minutes. 3. Next add zucchini, salt and pepper. Cook another 4-5 minutes. 4. Remove skillet from heat, drain excess water from skillet. Add 1/2 cup shredded cheese and mix well. 5. Divide zucchini between each of the 4 tortillas. Roll and place seam side down into baking dish. 6. Pour 1/2 can enchilada sauce over tortillas and top with remaining cheese. Bake in preheated oven for 20 minutes. Serve topped with extra enchilada sauce, cilantro and scallions. This entry was posted in Healthy, Main Dish, Mexican, Recipes, Vegetarian on October 2, 2013 by Genoa11. Alfredo. I can actually feel my waste band tightening just by saying the word. Sticks of butter and cups of heavy cream, can you feel your arteries hardening? Well, with this spin on a traditional Alfredo recipe, you no longer have to change into sweat pants after dinner. 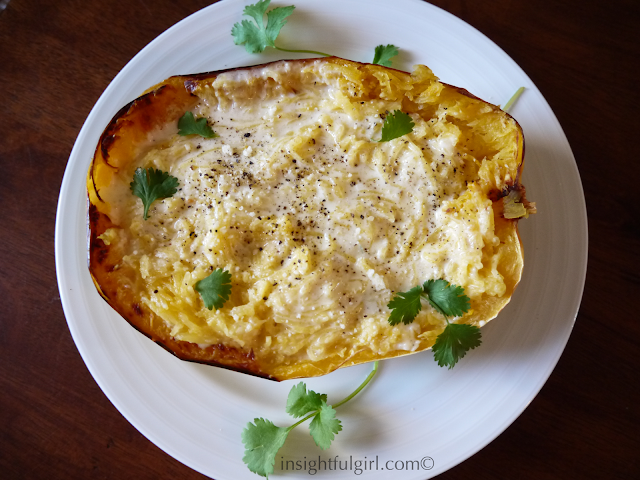 I decided to make this with spaghetti squash to make it a bit more healthy and cut out some of the carbs. It was delicious. 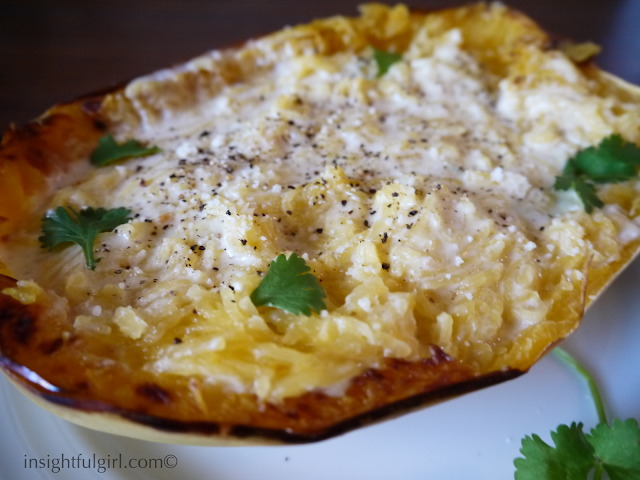 I tend to like spaghetti squash a bit crunchier when using it as a substitute for noodles, for added texture. 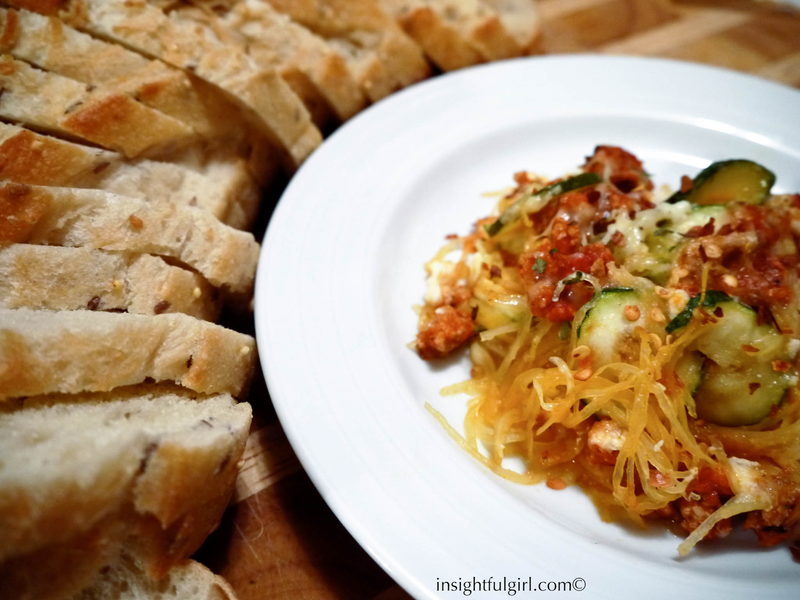 I finished cooking the spaghetti squash to the perfect crunchiness and by the time I poured the sauce over it and took my first bite, it had already become a bit softer. So make sure not to over cook the squash or you will have more of a soup than a spaghetti dish. Also, this is such a cute dish because the shell acts as a perfect bowl. This is a great dish for entertaining, it looks like you puts hours into it by how cute it’s presentation is, when it really is quite easy and quick. 1. Preheat oven to 350°. Spray cookie sheet with nonstick cooking spray. Cut spaghetti squash in half lengthwise, scoop out seeds with spoon. 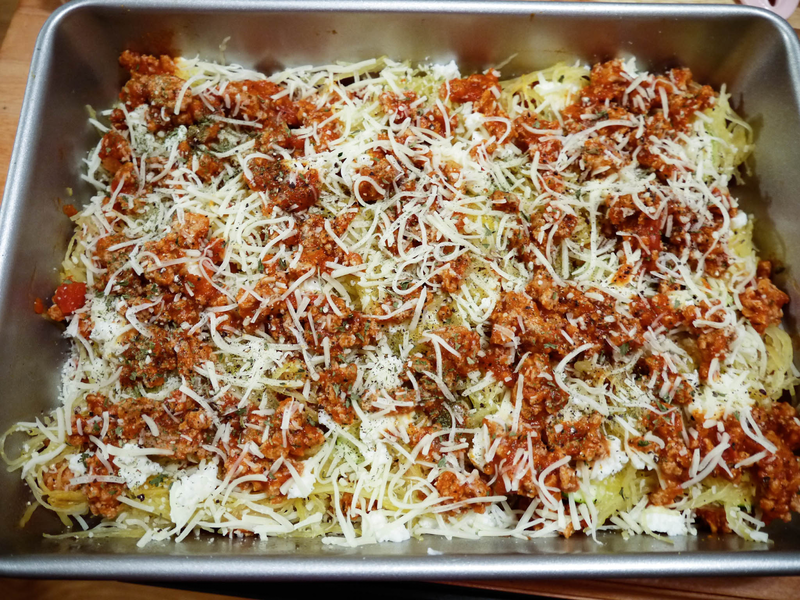 Place spaghetti squash, cut-sides down, on the baking sheet and bake for 40 minutes or until a sharp knife can be inserted with only a little resistance. Make sure to not overcook the squash for this recipe, because the sauce will continue to soften the noodles once you pour it over it. Remove squash from oven, and set aside to cool enough to be easily handled. 2. Once spaghetti squash has slightly cooled, scrape each half loosening the strands. Keeping the spaghetti strands in the shell. 3. For sauce, melt butter in small sauce pan over medium heat. Once butter is melted add garlic and saute for 1-2 minutes, stirring constantly to avoid burning. 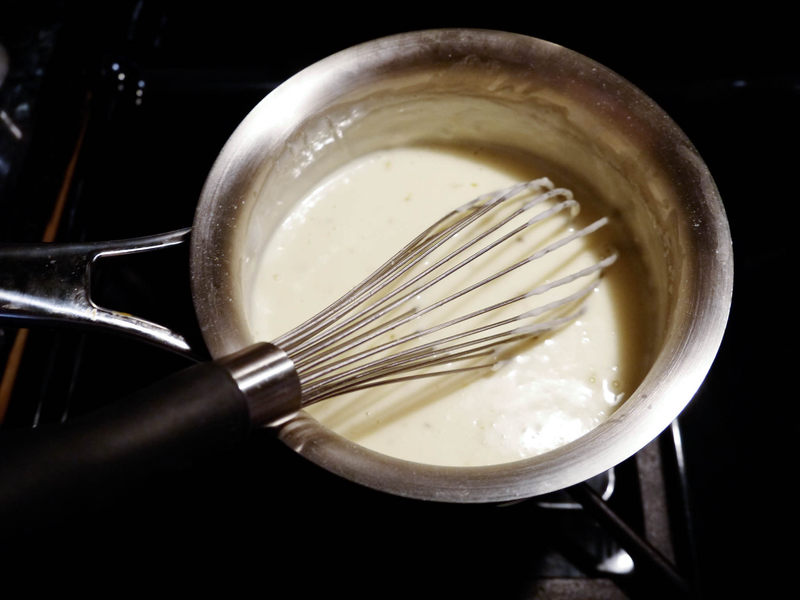 Add milk and flour, whisk until no clumps remain. Once milk is warm, add cream cheese and whisk until smooth. Remove from heat and add Parmesan, salt and pepper. 4. Place one half of spaghetti squash on a plate and pour desired amount of sauce over each half. I used about 1/3 of the sauce for each half. Top with more fresh pepper, red pepper flakes or whatever garnish you wish. This entry was posted in Healthy, Main Dish, Recipes, Vegetarian on April 25, 2013 by Genoa11. I know it’s not much to look at, but don’t let looks fool you. This dish is packed with veggies and flavor. 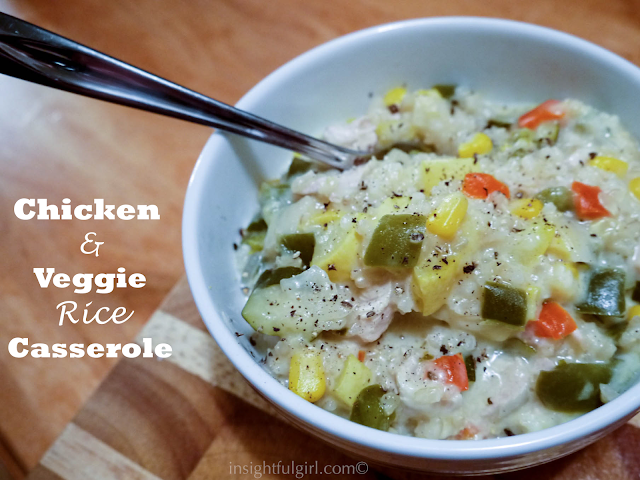 It’s a great casserole option when looking for a healthy meal. I did make some substitutions when I made this to add some fiber and decrease some of the fat. By using brown rice and substituting Greek yogurt for the cream cheese. I think it turned out great. Plus, we had plenty of leftovers for the next night. Hope you enjoy. 2. Pour rice into 9 x 13 baking dish and set aside. In a small saucepan bring broth to a boil. Next pour broth into dish with rice and stir. 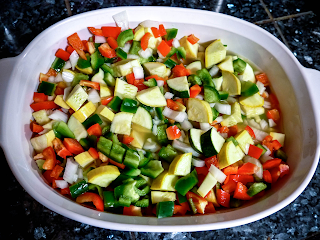 Then add in zucchini, yellow squash, red pepper, green pepper, onion and salt into dish with rice. Mix well. 3. Cover with foil and bake in preheated oven for 45 minutes. 4. Remove foil add in cooked chicken, stir and continue baking for another 35-45 minutes, or until rice is tender. 5. 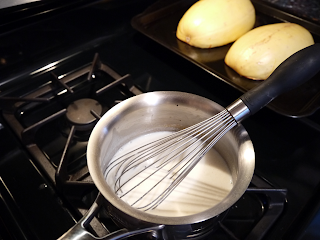 In a small saucepan whisk milk and flour together. Cook over medium heat until bubbles and slightly thickens, approximately 3-4 minutes. 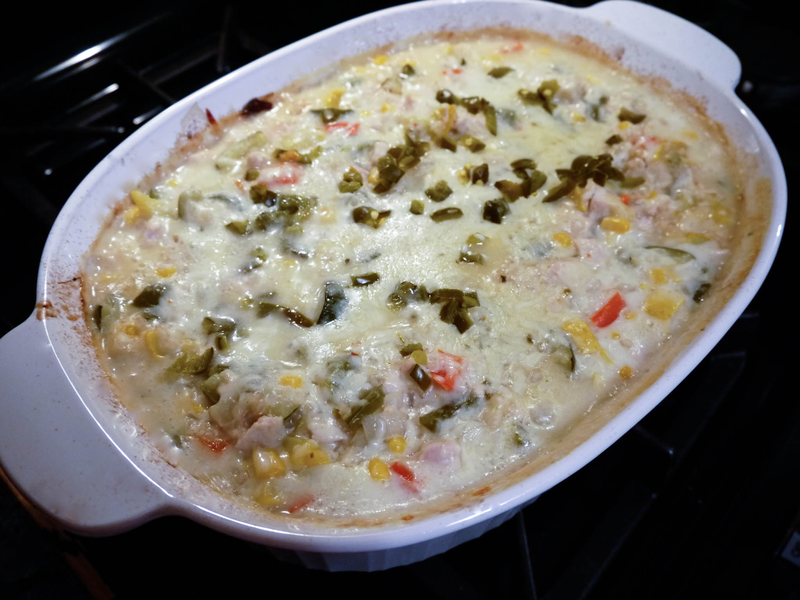 Reduce heat to low and add in 1 1/2 cups jack cheese and corn. Cook until cheese is melted. Set aside. 6. When rice inside the casserole is done, stir in cheese sauce. Sprinkle with remaining cheese and top with Greek Yogurt, using teaspoon dollops to cover casserole. Finally, sprinkle with jalapenos and return to oven to bake 10 more minutes. 7. Allow to sit for 10 minutes before serving. 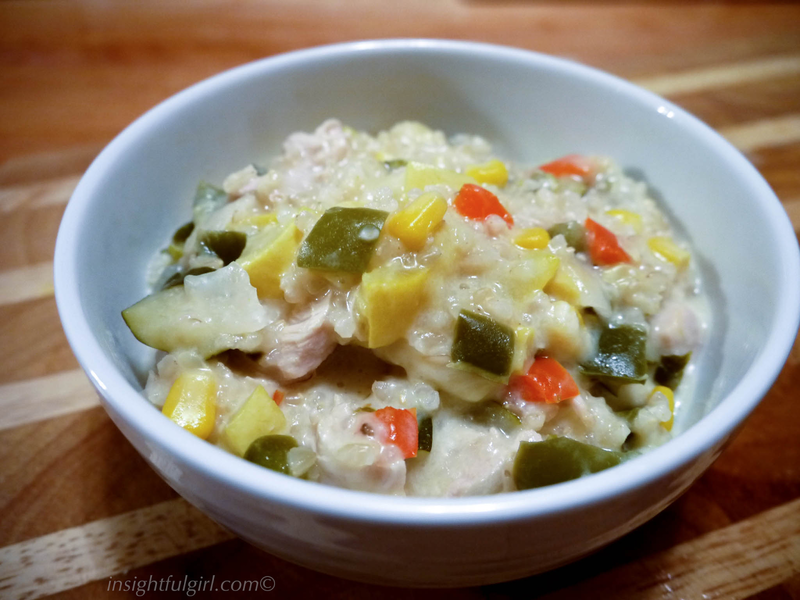 This entry was posted in Casserole, Healthy, Main Dish, Recipes on April 11, 2013 by Genoa11. So, I have to admit that I have a small love affair with cauliflower. It is absolutely my favorite vegetable. I can put it in just about anything. 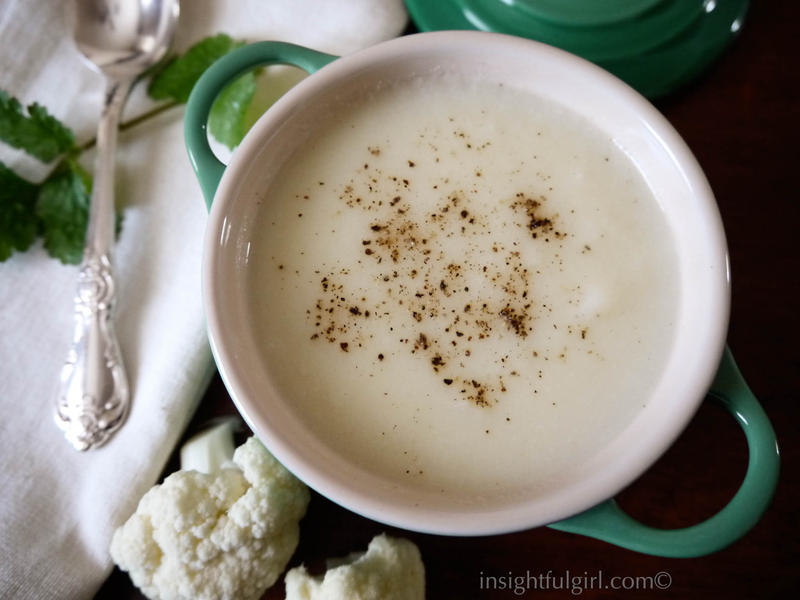 So, with February as my self proclaimed soup month, I decided to make cauliflower soup. Why, not? 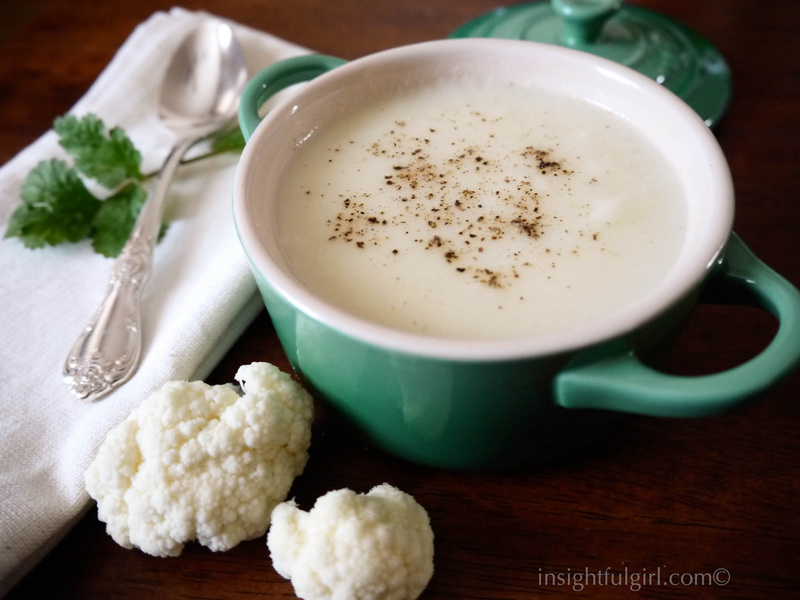 Cauliflower has an unbelievable amount of vitamin C, so with it being cold/flu season, the more vitamin C you can add to your diet the better. I also learned what a roux was and how to make one. It is a mixture of flour and butter used as a thickening agent for soups and sauces. Voila, add it to your cooking dictionary. Also, if you prefer this to be a vegetarian soup, substitute the chicken broth for vegetable broth. Both are delicious. 1. 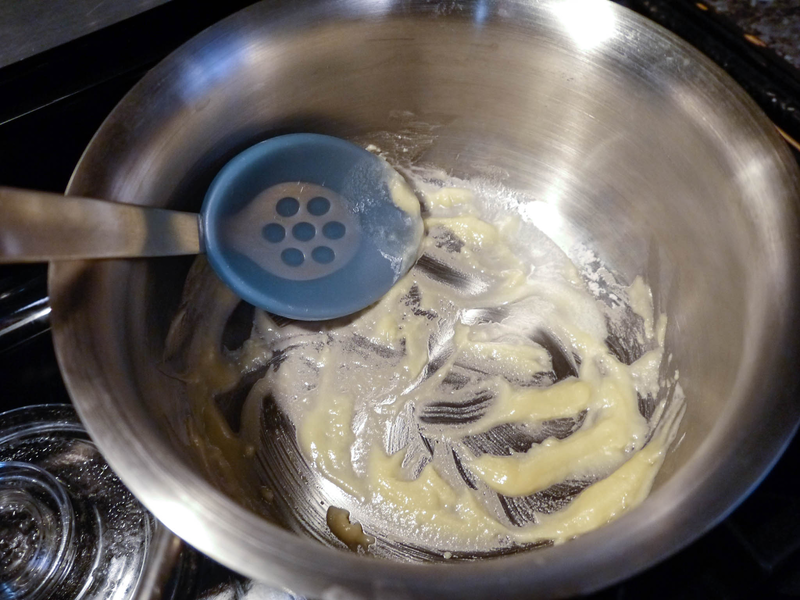 In a medium saucepan, make a roux by melting the butter on low heat and then adding in the flour. Stirring constantly for 1 minute. It will be a paste consistency. 2. Next add in chicken broth, onion, garlic, salt and cauliflower. Bring mixture to a boil. 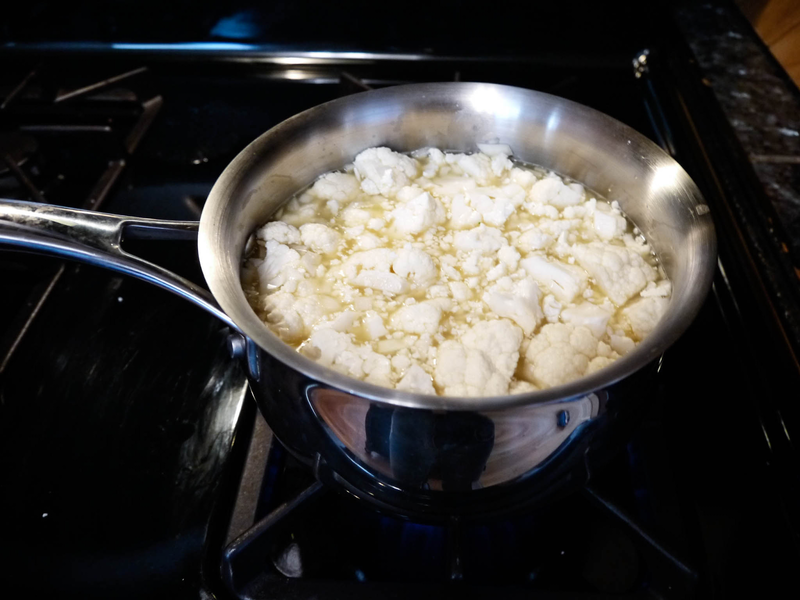 Once boiling turn heat down to low and simmer covered for 20 minutes or until cauliflower is tender. 3. In small batches, puree mixture in blender until smooth. Season with salt and pepper. This entry was posted in Healthy, Main Dish, Recipes, Side Dish, Soup, Vegetarian on February 21, 2013 by Genoa11. So, to continue on with my February soup theme, I thought I would incorporate a little Valentine’s Day tribute. I decided to make a red soup and tomato seemed the obvious choice. Besides, I had never made home-made tomato soup and the pre-made ones in the store are full of sodium and chemical ingredients. 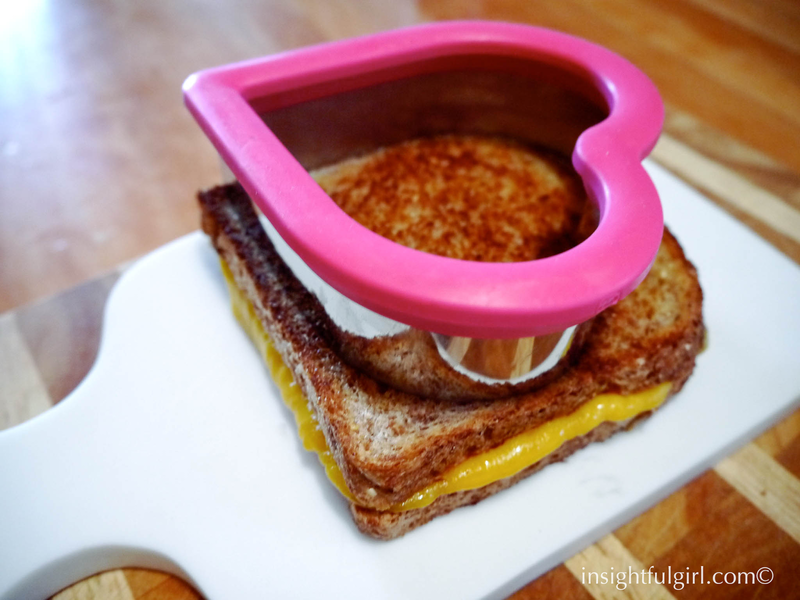 Then in a moment of genius (or so I thought) I threw in a little extra heart grilled cheese sandwich bonus. 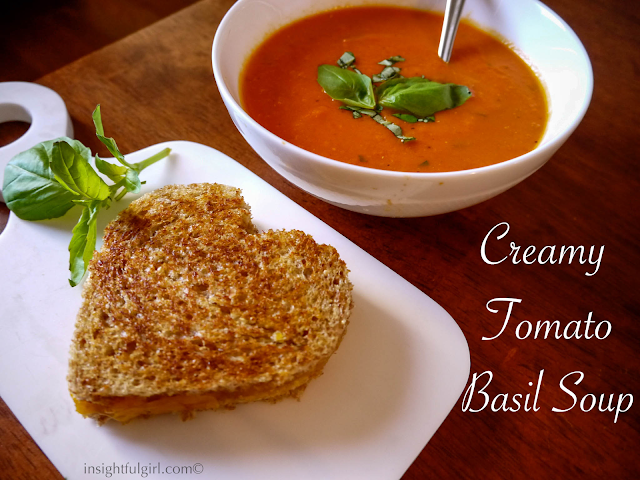 Aren’t tomato soup and grilled cheese a perfect combo anyhow? Whoever came up with this winning combination should be given an award. It’s marvelous. 1. In a large stockpot heat 2 tablespoons olive oil over medium-high heat. Add onion, garlic, red pepper flakes and bay leaf. Stirring frequently, cook until onion is translucent, about 4 minutes. 2. Add in tomatoes, including the juice and using a potato masher mash the tomatoes until they are broken down into smaller pieces. Careful not to break up the bay leaf. Stir in sugar and bread, bring to a boil. Reduce heat to medium, stirring occasionally, cook until bread is completely saturated and begins to break down, about 5 minutes. Remove bay leaf. 3. Turn heat off under pot and add 1 tablespoon of olive oil and puree soup using a blender. 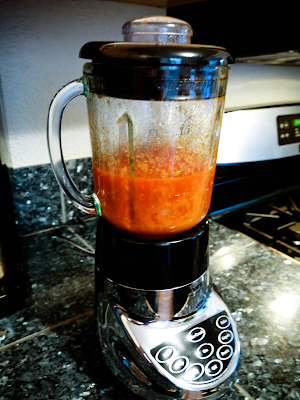 I separated the soup into 3 different batches, so as not to over fill the blender. I always leave the slightest crack in the clear plastic topper of the blender to allow some of the steam to escape. Do make sure you hold onto it TIGHTLY when mixing, otherwise you will have a big mess on your hands. 4. 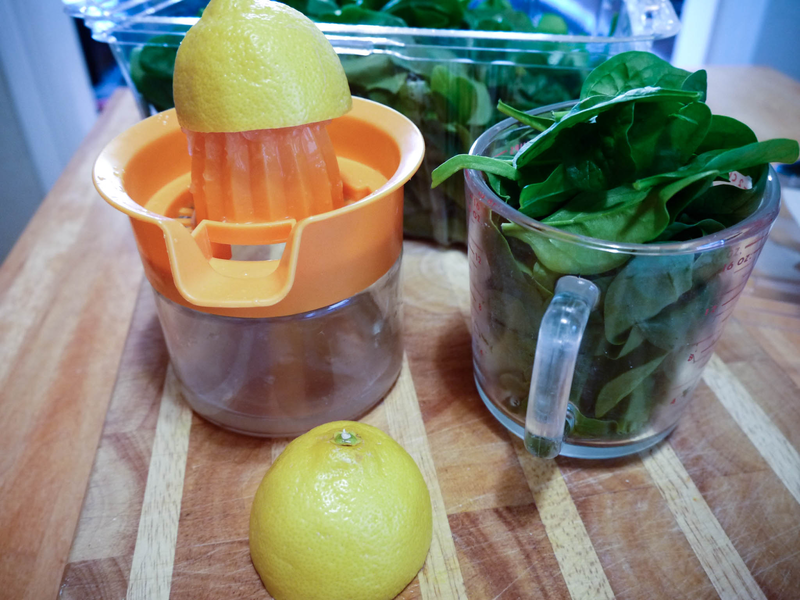 Blend each batch for about 1 minute to get as smooth as possible. 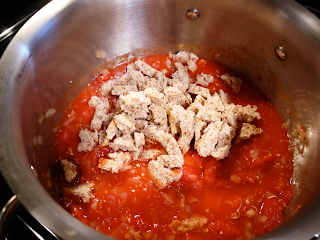 After blending, place tomato soup back into stockpot, stir in chicken broth and salt. Return soup to a boil and simmer for 5 minutes. Remove from heat, add salt and pepper to taste. Stir in basil and serve. 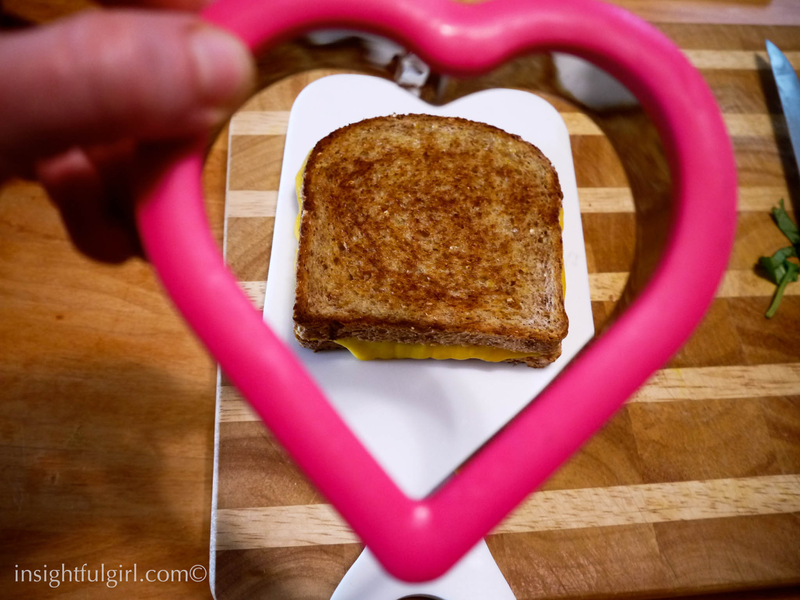 As an extra bonus, I made grilled cheese and cut them into hearts using a large heart shaped cookie cutter. It came out too cute for words. Give it a try. Show that special someone you care. This entry was posted in Bread, Healthy, Main Dish, Recipes, Soup, Vegetarian on February 11, 2013 by Genoa11. Since February is my birthday month and soup is one of my favorite foods, I am declaring February Soup Month. Besides, it is usually the coldest month here in Denver, so why not warm yourself from the inside with some delicious soup. So my blog this month will be devoted to yummy soups. So, here we go. This recipe came from talking with the girls at work. The forecast was predicting a cold weekend and I wanted to make soup for the cold weather. I talked with the girls at work and asked them what their favorite soup were. 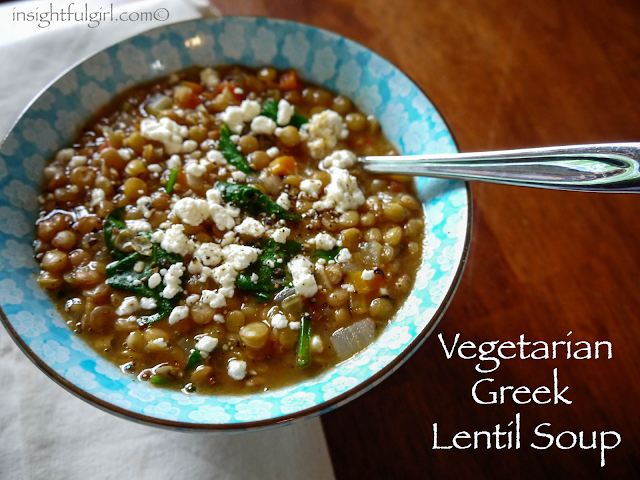 I got everything from clam chowder, butternut squash to a vote for this Greek lentil soup. I just can’t fathom the thought of clam chowder with all its chewy clams. Yuck! I prefer not to have rubber bands in my soup. Sorry Laurie. It’s a texture thing for me. I also wanted something more on the hardy side, since I wanted it to be the main course. 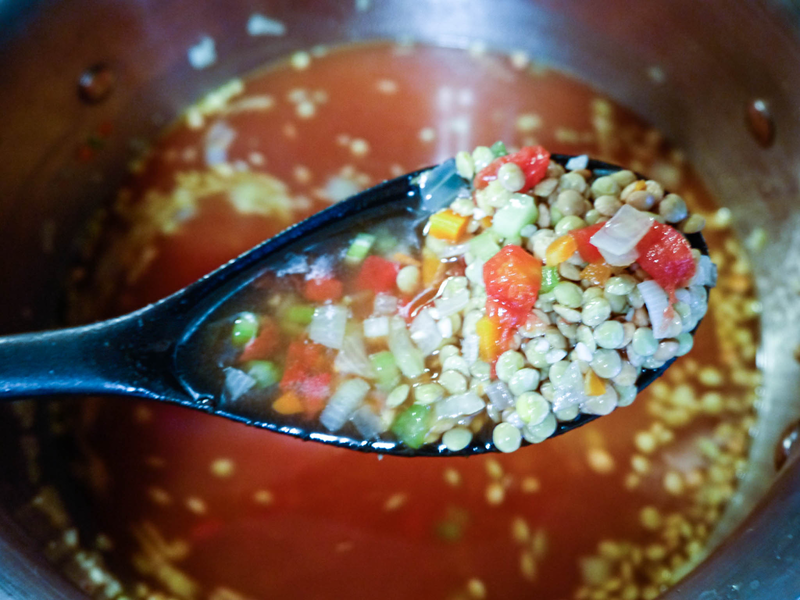 So, here is how the lentil soup recipe was born. Also, an added bonus to this recipe is the feta. I usually have it with chicken or on a salad, but why not venture into soup. Here is the finished product, thanks Lisa for the inspiration. Enjoy! 1. 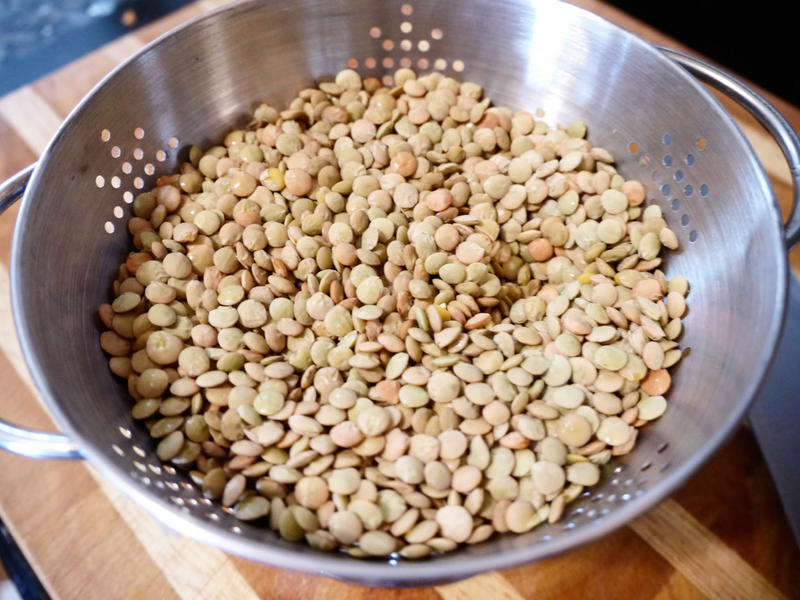 Place lentils in colander and rinse with cold water. 2. In a large stockpot, heat oil over medium heat, saute onion and garlic for 3 minutes. 3. Add chopped celery and carrots, cook another 2-3 minutes, stirring constantly. 4. Next add in lentils, vegetable broth and tomatoes. Bring to a boil and reduce to a simmer. 5. Add in Greek seasoning, thyme, oregano and salt. Simmer for 1 1/2 hours or until lentils are soft. You can adjust the stock after lentil are done depending on how thick you want the soup. 6. Once lentils are done, remove from heat and stir in chopped spinach and lemon juice. 7. Place servings into bowls, pepper to taste and top with crumbled feta. This entry was posted in Healthy, Main Dish, Recipes, Soup, Vegetarian on February 5, 2013 by Genoa11. I came across this recipe on a vegetarian website. 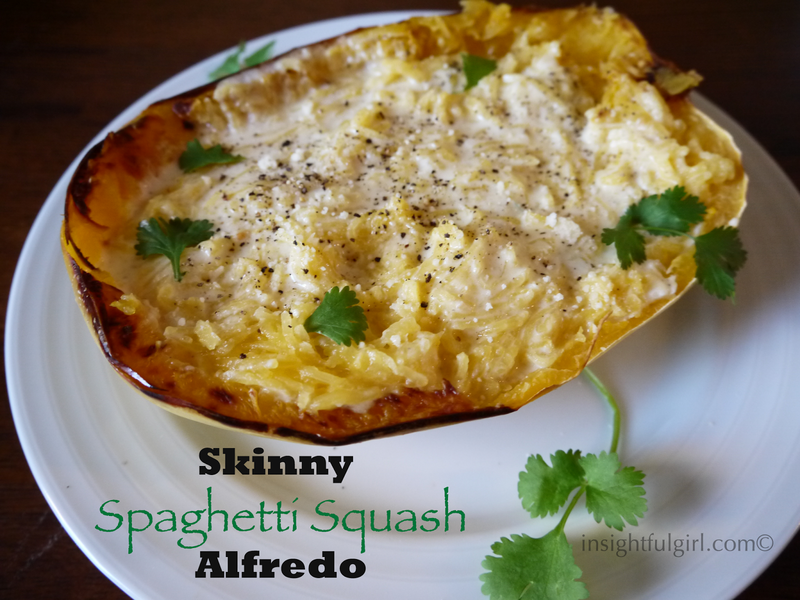 It sounded delicious with the spaghetti squash. 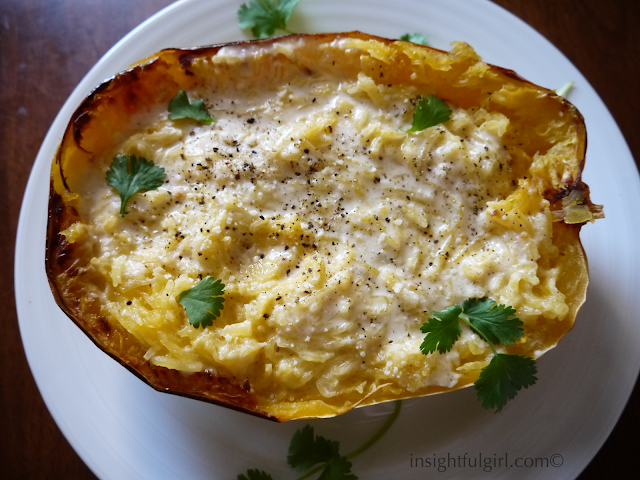 I can honestly say that it never occurred to me to use spaghetti squash instead of noodles in a dish. And I am a big fan of spaghetti squash. I did make some alterations in this recipe by adding the lean ground turkey. I thought it would be a great way to pack in some protein without adding a bunch of fat. 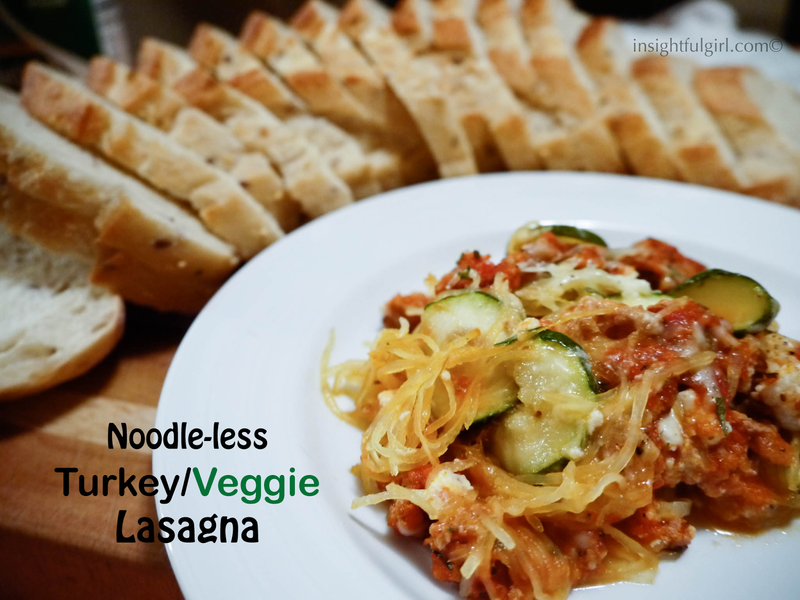 My husband even said he liked this lasagna better than traditional noodle lasagna. He also decided it was okay to have 2 pieces of sourdough bread as he put it, “without the noodles, I don’t have to feel guilty about the extra piece of bread.” After dishing our plates, we did spice things up with some red pepper flakes and dash of Parmesan cheese. So whether you are a vegetarian and leave the turkey out or cook it with the turkey you will not be disappointed. Italian night has now taken on a vegetable theme. Preheat oven to 350 °. Spray casserole dish with nonstick cooking spray. Place turkey in large skillet and cook until no pink remaining. Add jar of spaghetti sauce and Italian seasoning. Simmer 10 minutes. 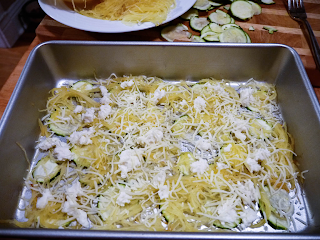 In a casserole dish, begin layering 1/3 zucchini, top with 1 cup spaghetti squash, 1/4 cup ricotta cheese, sprinkle with 1/4 cup shredded cheese and then 1 cup of turkey/sauce mixture. Repeat this process until all ingredients are gone. Mine ended up being 3 layers. When doing top layer use all remaining turkey/sauce mixture and finally top with another 1/4 cup shredded cheese. 4. I used my fingers to crumble the ricotta into small pieces. 5. Sprinkle with parsley flakes and fresh ground pepper. 6. Bake in preheated oven for 30 minutes. There will be some water in the lasagna because of all the vegetables. After it was done baking I just slightly tilted the pan to the side and used a spoon to scoop out most of the water. This entry was posted in Healthy, Italian, Main Dish, Recipes on January 8, 2013 by Genoa11.